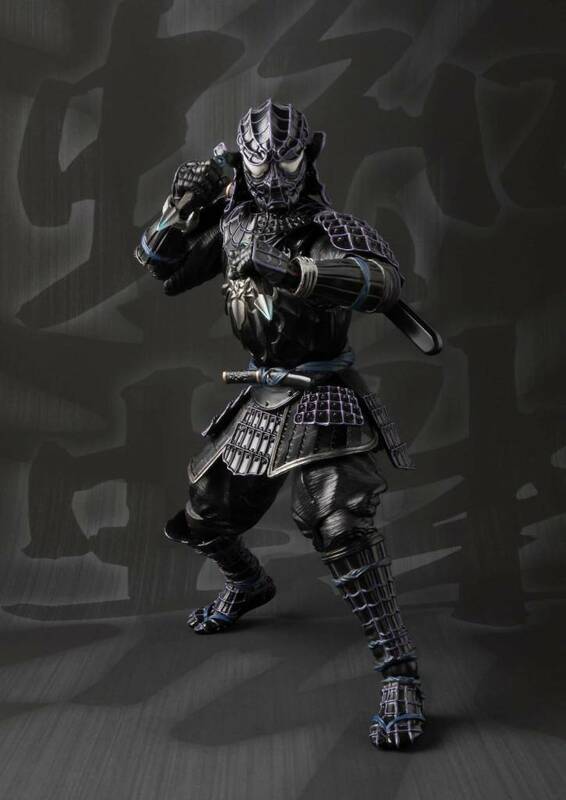 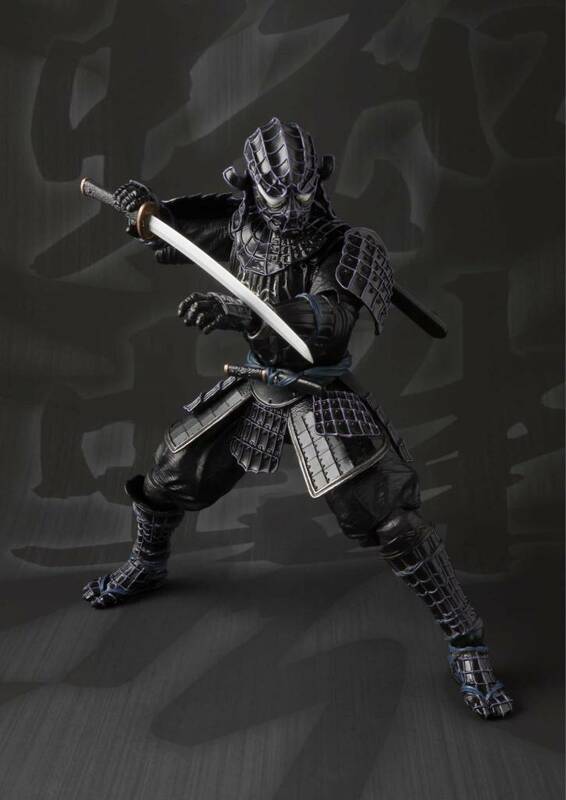 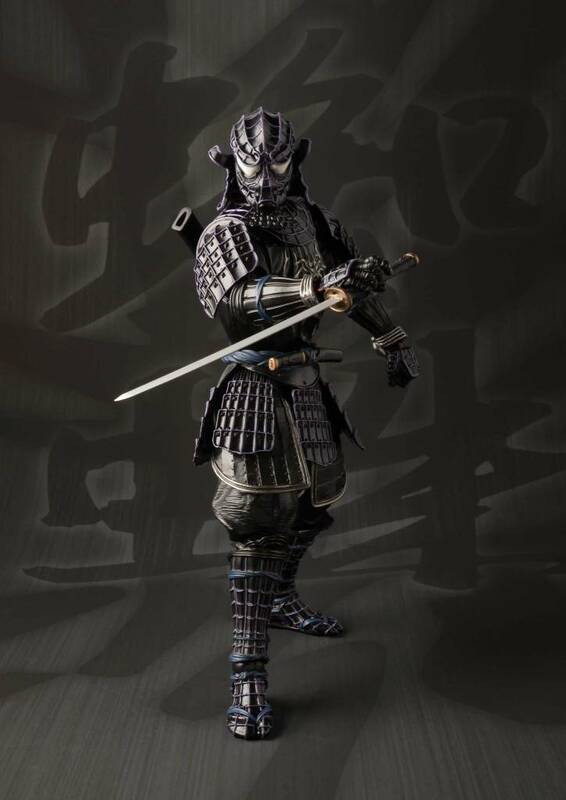 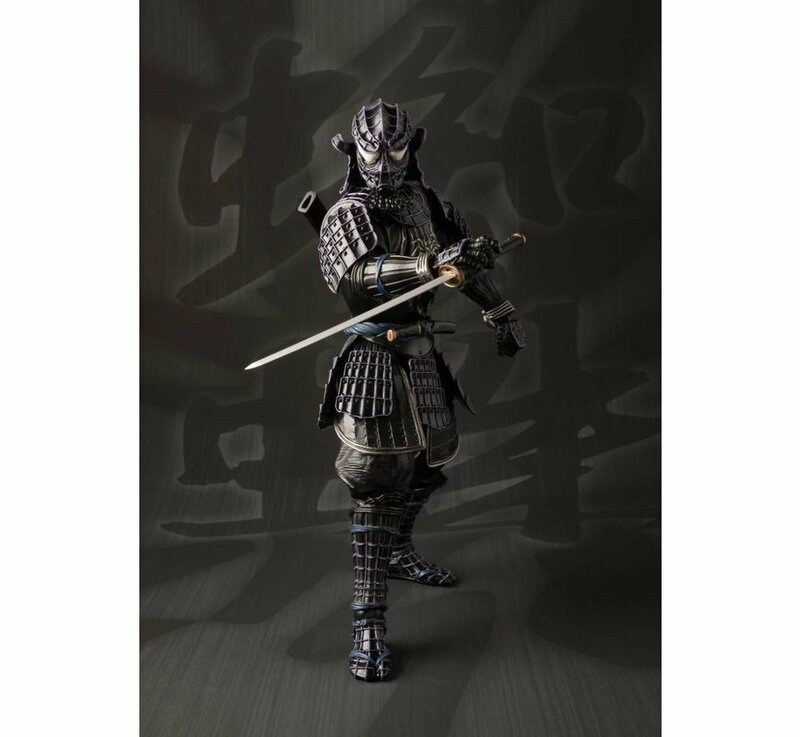 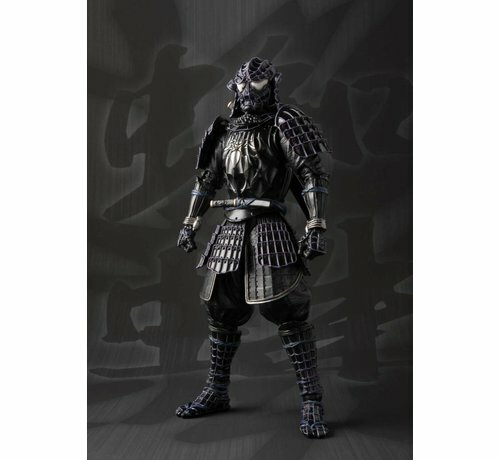 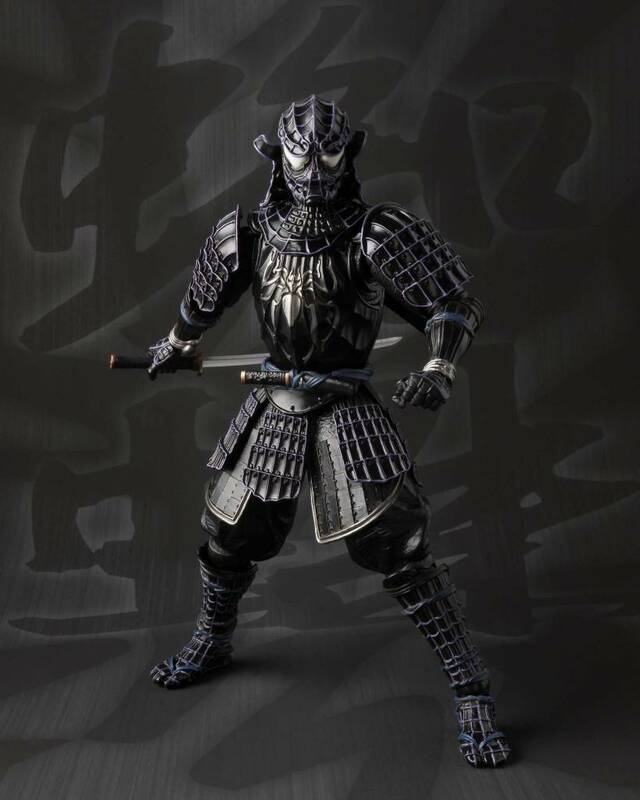 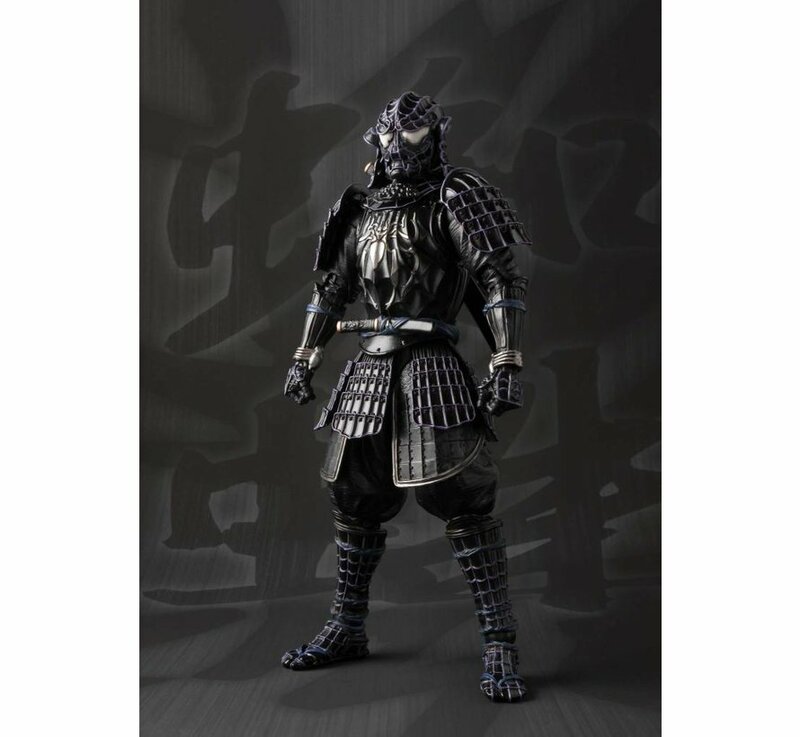 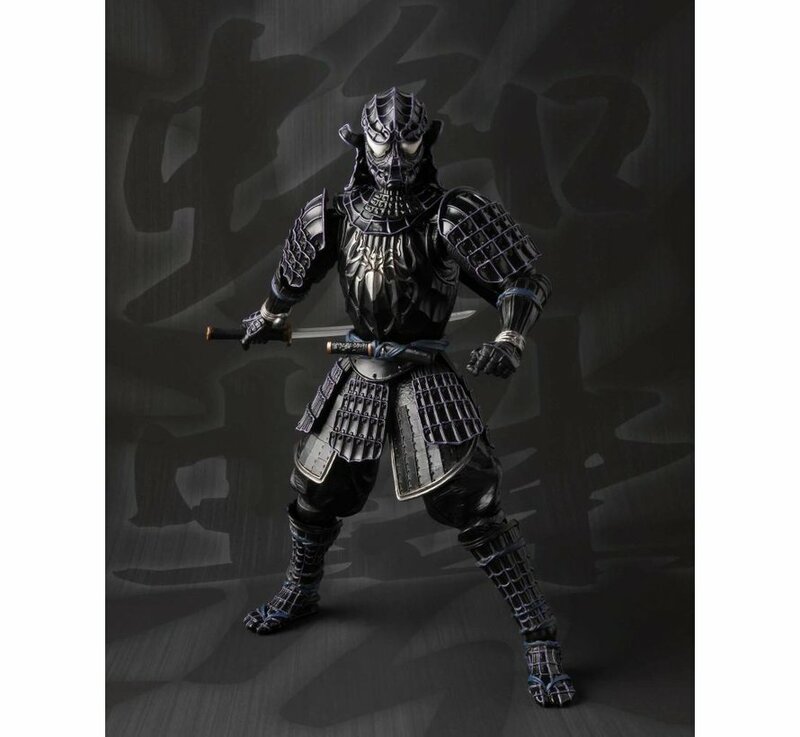 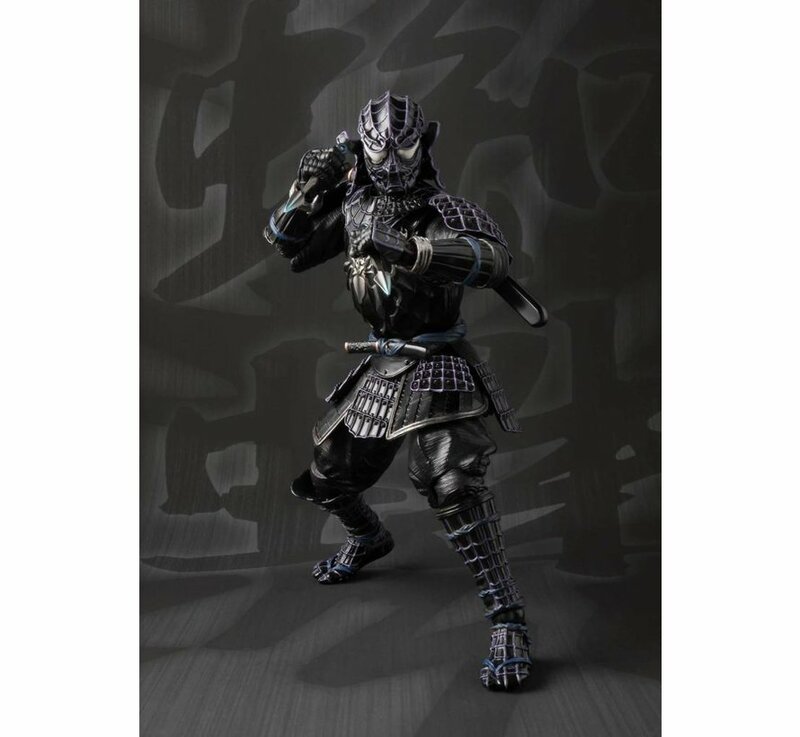 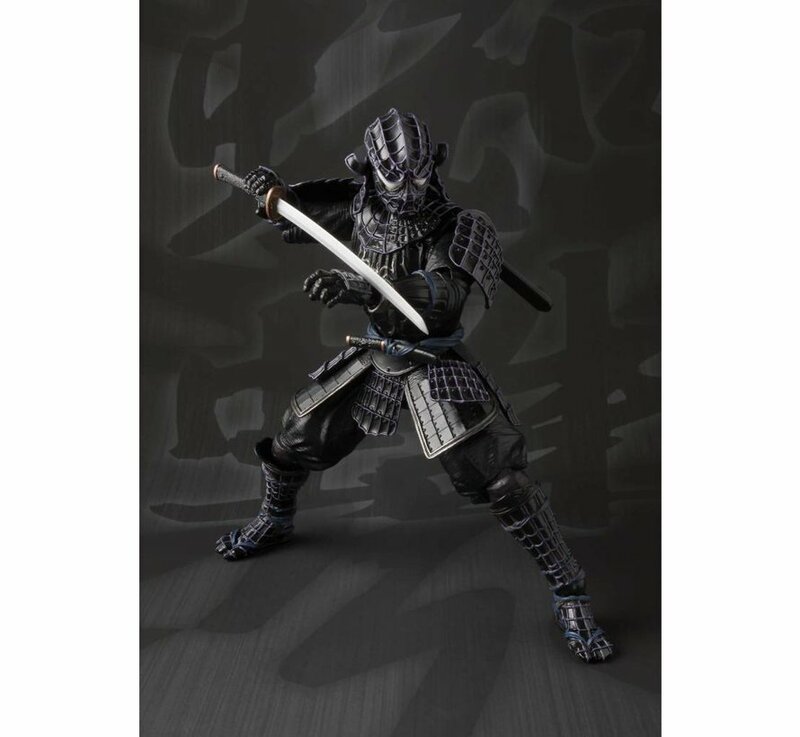 The hit Meisho MANGA series from TAMASHII NATIONS brings you Onmitsu Black Spider-Man! 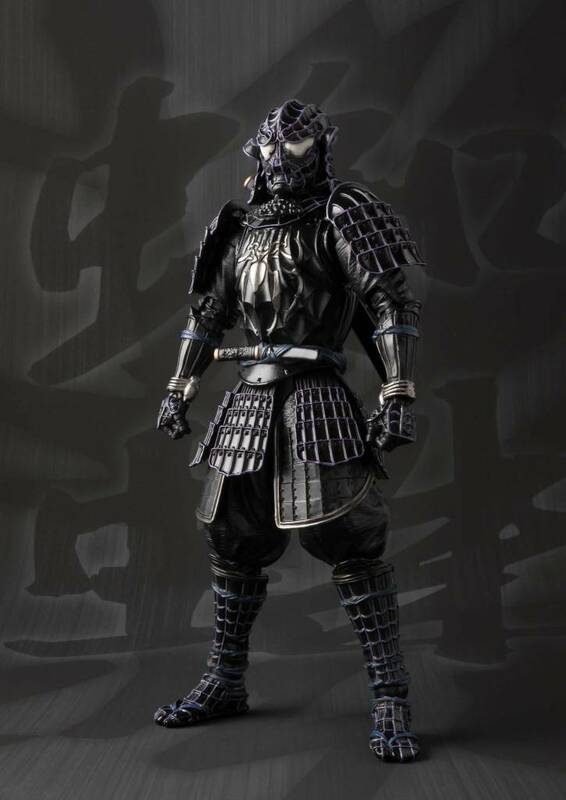 Leave it to top sculptor and designer Takeya Takeyuki to take Black Spider-Man back to Feudal Japan in full, web-like ninja design. 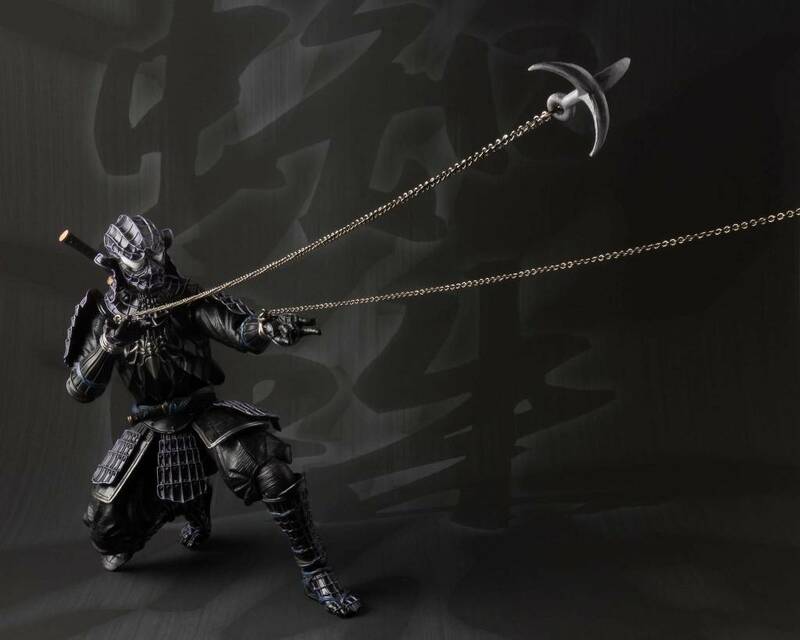 True to the feudal spirit, Onmitsu Black Spider-Man’s ninja kaginawa-style grappling web hook is crafted as chain-like firing mechanism. 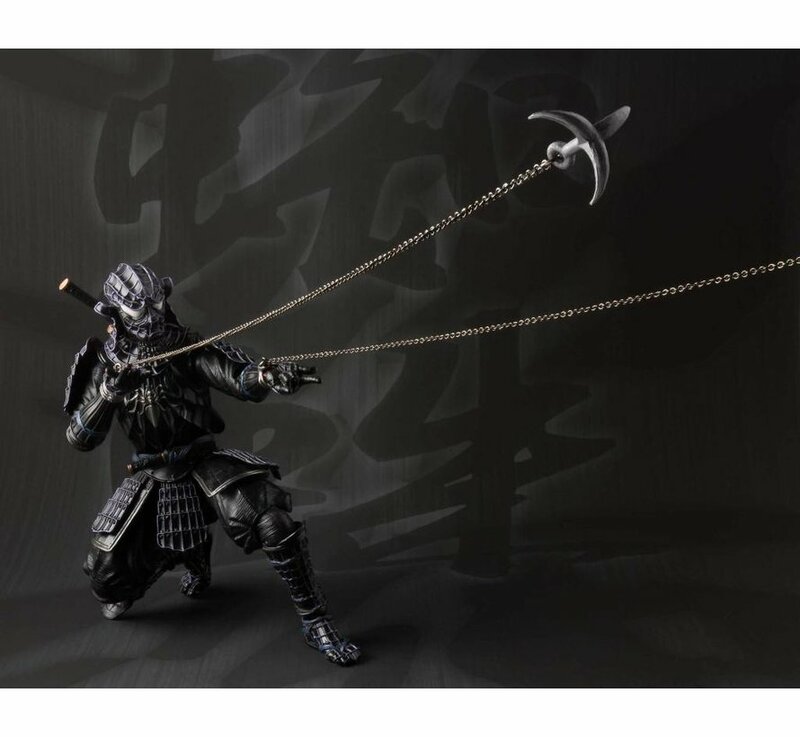 Set includes interchangeable hands (x4), Japanese katana set, and kaginawa web hook set.